You’ve all seen ads in The Soap Boxers in the past. Some of you might ask why we run ads. Well, much like television, radio, and print media, we do have costs associated with the site. The costs are relatively low, but like any business, Hyrax Publications strives to turn a profit. Kosmo is the guy behind Hyrax Publications, and I do cultivate other revenue streams. The online store, consulting business, and sales of my Kindle books all produce revenue streams. Unfortunately, those streams are slow and meandering at this point, rather than a gushing torrent. It’s not just Kosmo, of course. Our other writers are independent contractors whose contract promises them a share of profits. A key point to consider is that profits must materialize, or they don’t get paid. At this point, profits have not yet materialized, so they haven’t been paid. Yep, the writers have been churning out articles every month (or in the case of Johnny and Martin, every week) without receiving a penny. I think we should be at a point where profit sharing will kick in for 2012, but that’s not certain. So we run ads in an attempt to turn this labor of love into something that pays at least a few pennies per hour. How much combined effort do the writers spend on The Soap Boxers every year? Between writing, coding, guest articles on other sites, and administrative tasks, my effort is probably around 250 hours – and I’d guess the entire group of writers puts in 500 hours or more. Finally, in the past we have attempted to minimize the number of ads we show to our regular visitors (you!). When we don’t show ads, we definitely won’t make any money from you! Moving forward, we are making sweeping changes to our advertising. People who stumble across our articles through search engines will still see Adsense ads from any number of different advertisers. The rest of you will not. You will see only ads from independent sites who directly contract with us (such as It’s All Good) – and Amazon.com. 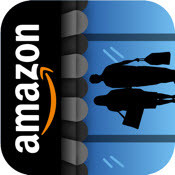 Our support of Amazon is not a shallow attempt to separate you from you hard earned money. I have discussed Amazon with many of the writers, and the consensus seems to be that Amazon is a great place to buy stuff. Personally, I’ve been buying from Amazon since it was a relatively small site that sold nothing but books. My long history with Amazon makes me hope that may of you will see these ads as a service, rather than an annoyance. You’re going to see a few different types of ads. The most noticeable will be at the top left of every articles. There are going to be a couple of different versions of this ads. Newer articles will feature products of a topical nature (today, you’ll see items related to the Civil War, as 150 years have now passed since the conflict between the North and South). At times, this will reflect Kosmo’s personal interests (thus the recent search for Stieg Larsson), but at other times will focus on topics that seem to be of interest to the public, regardless of whether I personally have an interest. Older articles will show items related to a new book, music, or movie release At this moment, the featured items are version of the book Water For Elephants – the basis for the upcoming Reese Witherspoon film. It’s important to note that you could buy ANYTHING through Amazon, you don’t need to stick to the displayed items. There’s a handy search bar to the left of the “Go” button. Plug in the name of that book you’ve been looking to buy and hit “Go”. The widget will then populate with the items you are looking for, without taking you away from The Soap Boxers. You will also see an ad in the sidebar that will show computer-related merchandise. Blog readers are, on average, more computer-savvy than the average citizen, so I’m hoping that many of these products will be relevant to you. Finally, readers of articles that get a decent amount of search engine traffic will see customized Amazon ads displaying related items. Are Athletes Overpaid features some of my favorite sports-related books and movies. This campaign is still in the early stages, so bear with us a bit. At times, you may very well see some strange things as we do a bit of experimentation. It’s important to note that although we do receive a small commission on the Amazon sales, this does not affect the price you pay. If you buy through Amazon, we humbly ask you to consider letting us help you find those items. So does my marijuana article feature blown glass, zig zags and wooden pipes? LOL. The Adsense ads for your article are usually related to prescription drugs (in general, not specifically medical marijuana). Since your article is one of the higher traffic ones, I have integrated an Amazon widget into the middle. I’m experimenting with the TV/Movie widget.